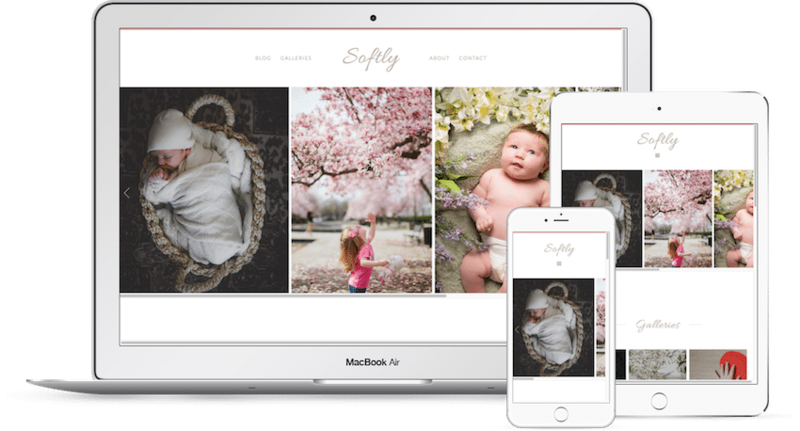 Softly is a beautiful theme with family and newborn photographers in mind. It all starts with the beautiful homepage and light, welcoming feeling. Softly's irresistible elegant pixel perfect design and a feminine finish makes it attractive to clients. Softly is ready for desktop and mobile. Complete with a homepage side scroll gallery, multiple blog, page and post templates. as well as an Imagely exclusive portfolio template. *Side scroll gallery requires NextGEN Pro which is available in the Themes & Plugins bundle. All current & future products. All payments except Lifetime Access recur annually. Your initial payment gives you lifetime rights to use your theme(s) or plugin(s). You can cancel anytime and continue to use the plugin forever. Annual renewals provide ongoing access to updates and support. If you cancel, you’ll lose support and updates when your membership expires. The Lifetime Access plan will give you access to all themes, plugins, updates, and support forever.